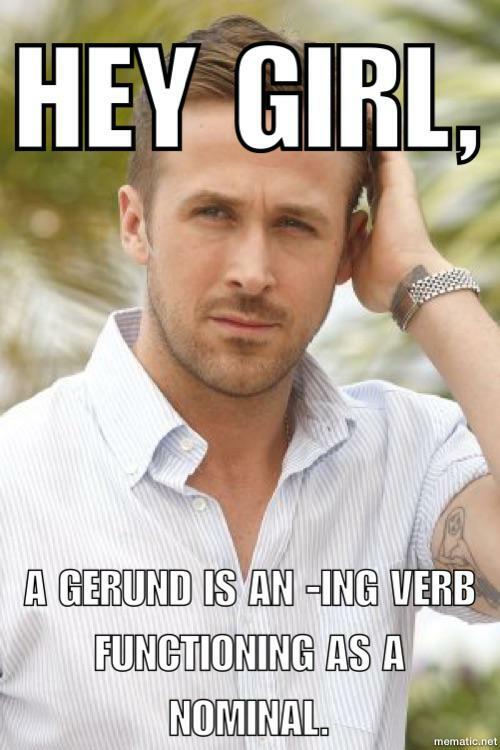 I know I’m not as lovely as Ryan Gosling, but I’m happy to explain grammar to you! So, Ask Me Anything: Grammar Edition had officially begun. Do you have questions? Ask away!